"Bye......... Im taking my lunch with me"
He was having a great time with this vole... I suspect this guy was a year old. It was fun to watch. 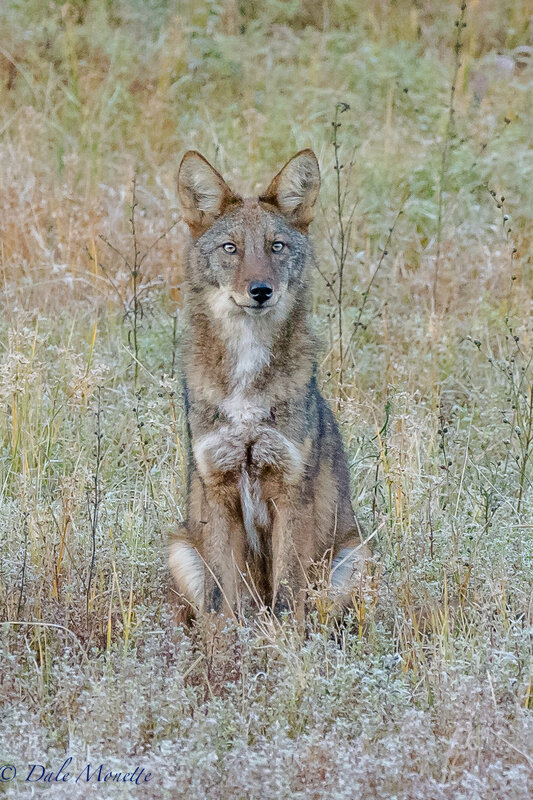 Last spring I watched this coyote catch and play with a vole in a big field. I didnt see this tongue out until after I got home ! "I'm going to eat in peace! " A very intent stare from this eastern coyote who was trying to see where the "click" was coming from in the woods along the shore of the northern Quabbin Reservoir 1/2/17! "I'm leaving but not taking my eyes off of you"
A pair of coyotes take off running through a snow storm across the ice at Quabbin. This coyote snuck right by me with a squirrel in his mouth this morning. He was with 2 others that were fast as the wind. And here he is......50 yards from me ! He thought about it for a few minutes and wandered up into the woods..... awesome ! 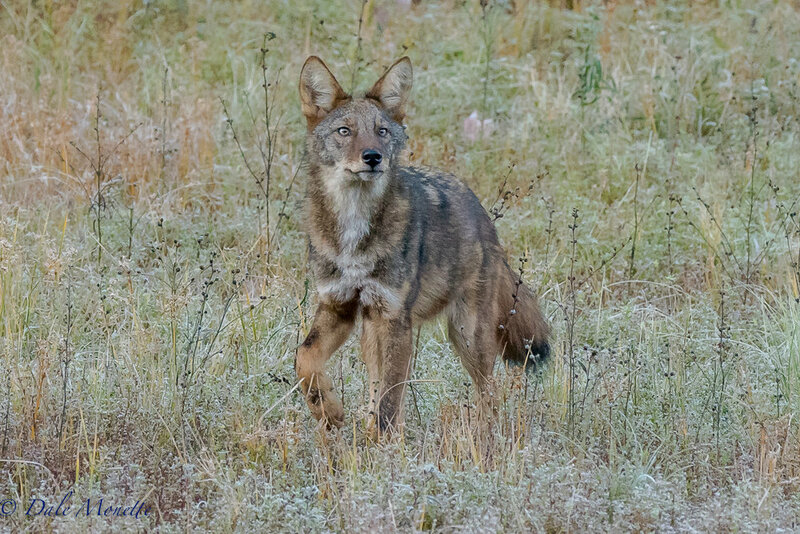 I played hide and seek with the mated pair of coyotes at Quabbin this morning. I won !! Here is the female coming down to the water to drink. I had quite a show for about 90 minutes before they finally wandered off. A great day was had by all !! Nothing like a good clean cold drink of water! "Sorry Dale, I'd like to stay and chat but I'm hungry"
This male bobcat came running down the road right by me as I was waiting for more coyotes to appear, I'll take it !! This is the 5th year in a row I have seen this coyote on the same spot! I call him Patch because he has a black and white patch on his back that is a giveaway that its him.